King of heaven and earth, to you belongs all honor and glory and praise. Thank you for this opportunity for us to come into your presence and hear you speak to us through your almighty, eternal Word. Amen. 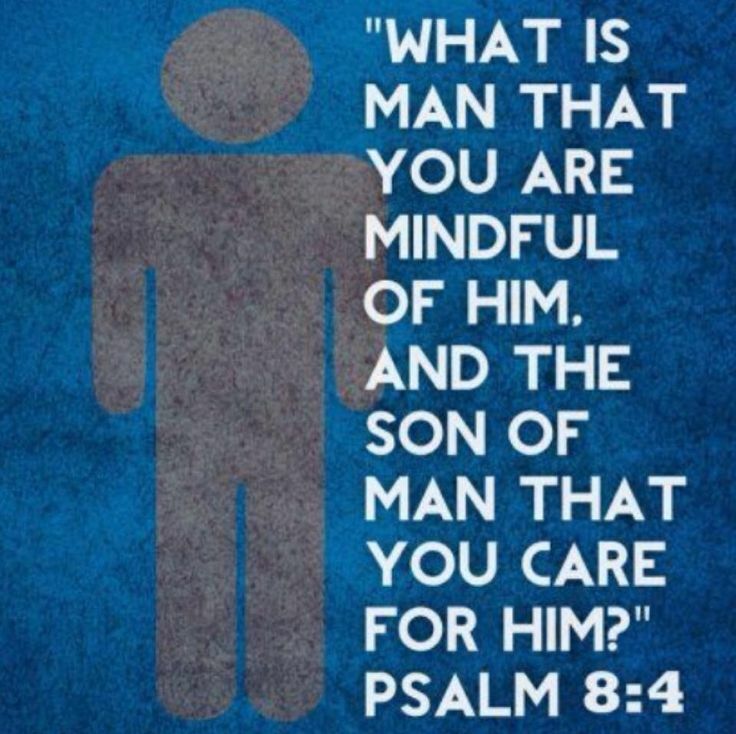 What is mankind that you are mindful of them, human beings that you care for them? 5You have made them a little lower than the angels and crowned them with glory and honor. 6You made them rulers over the works of your hands; you put everything under their feet. Honor. To honor someone or something is to hold them in high regard or high esteem. To honor someone or something is to think really highly of them, to say with our words or actions that they are really important. We honor our parents when we listen to them and obey what they say. We honor our teachers when we give them our attention and obedience. We honor different people in different ways. God honors us greatly. He thinks we’re really special. That’s what David says. He stands back in awe that the God who put the moon in the sky and put the stars right where he wanted them would honor us and make us ruler over all creation. It’s amazing that God would give that honor to Adam and Eve way back in the garden. And they blew it. We know all about that. Yet still, God still honors us greatly. He still thinks we really special! So special that he sent his Son from the family of secret sinners like Judah. So special that he sent his Son to be our brother. So special that he made his Son a little less than the angels and gave him up to death. Now, through faith, God honors us again. He calls us his sons and daughters. He hears our prayers. He answers our prayers. He cares for us deeply and daily. Later, he will exalt us still higher. He will make us queens and kings in his kingdom. “Then the sovereignty, power and greatness of all the kingdoms under heaven will be handed over to the holy people of the Most High. His kingdom will be an everlasting kingdom, and all rulers will worship and obey him” (Daniel 7:27). Come, let us adore him who honors us so much. 1. How much does God honor and value you? 3. Make a list of all the ways that you can honor him. 1. Read Psalm 45 and make a list of the reasons God is worthy of our honor? 2. Make a list of the ways that God is honored in the psalm. How do people honor him? 3. What would you add to the list of ways to honor God above? Don’t forget: Identify, Intercede, Invest, Invite. Almighty God, how amazing that you honor us, by being willing to give your own Son who laid down his life for us, so that we might have life with you now and forever. Empower us to use our lives on this earth to honor you in all we say and do. Amen.